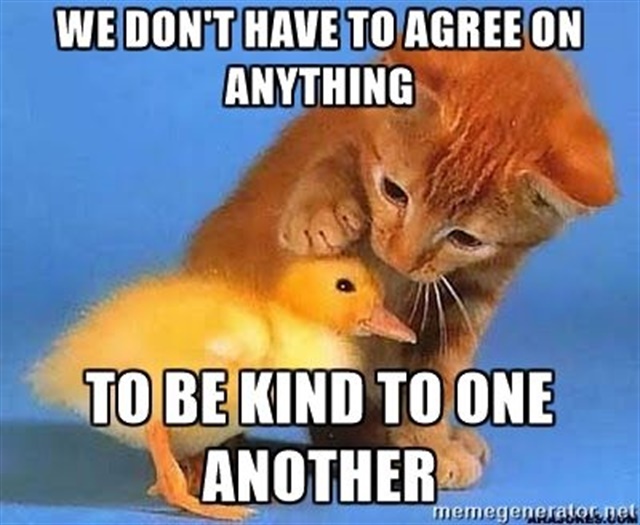 It never hurts to send out a reminder that we should all be kind and respectful on social media. Having run into a few things this past week, it felt like a timely reminder was in order. In one case someone pointed out what they perceived as issues with a tutorial. It was done respectfully, while still stating her perspective on the issue. Fortunately, I had an easy answer for her that could resolve the issue and correct the perception. I appreciated that it was pointed out so I could learn from it, however. Another instance was more attacking. Some of it with malice and cruelty towards each other in comments on a post. At no time is this OK. Name calling or insulting someone’s intelligence is never appropriate. I chose to delete the posts that were strictly mean and offered no information. I left the others that contained information, even though one of them even called my character and ethics into question. > They can only present information as they see it. > People have the right to decide what information is relevant to them and what to do with it. > You do not know what their life experiences are. > You do not know the manner or speed in which they learn new things. > Everyone should be treated with respect, whether their opinion is the same as yours or not. > My social media is a safe place for learning and cruelty will not be tolerated.